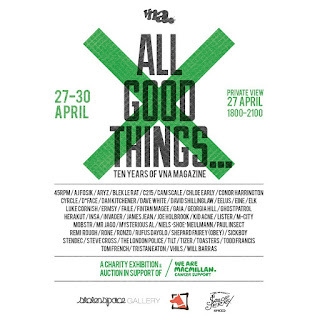 "As the saying goes, ALL GOOD THINGS must come to an end and, after 10 amazing years, Very Nearly Almost Magazine is shutting up shop." 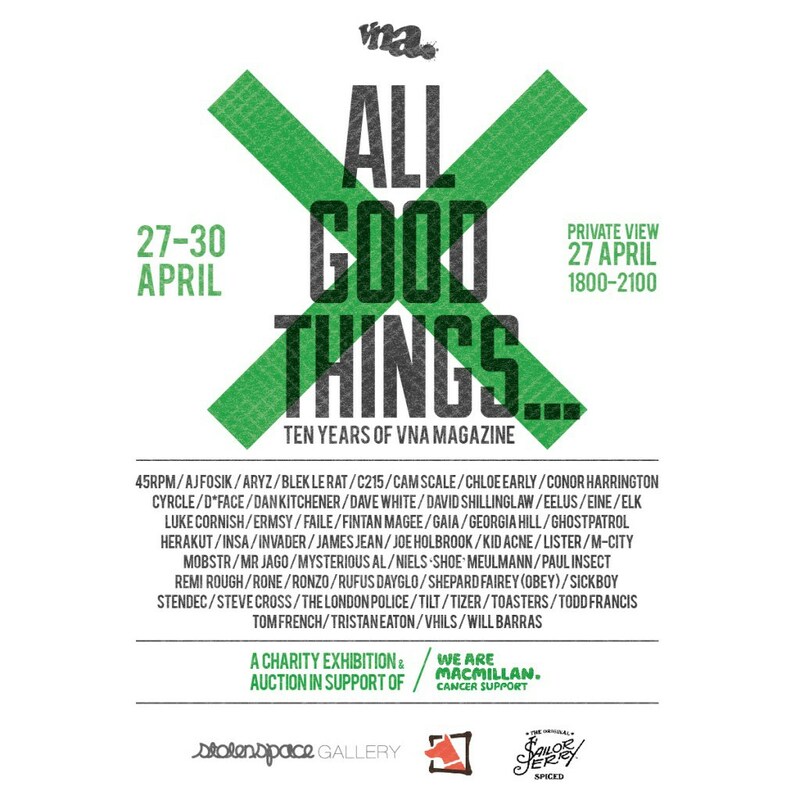 Visiting StolenSpace Gallery is always a treat, yet Thursday night promises to be as exciting as it is sombre as we're invited to celebrate TEN YEARS OF VNA MAGAZINE whilst simultaneously saying goodbye to the publication. The guys at VNA lay it all out via the link above and really I've nothing to add other than I have the utmost love and respect for the magazine, and thoroughly enjoyed it's pages over the years. Not like that you filthy bastards.